There was no love triangle. It was about a girl who starts out feeling safe within the confines of the legalistic world she lives in, and has for most of her life silently endured the whispers about her family. It is about her journey, and I liked not jumping right into a love triangle, but instead letting the love story unfold as she discovers herself. Only as she opens up is she even able to learn to love. The people in this society are controlled by shutting off their emotions. The procedure that everyone gets when they turn 18 is not one that just turns off love, it turns off all strong emotions. People basically become living zombies who do what they are told until they die. It’s still a YA dystopian novel, which is very popular right now, so there are bound to be similarities. I haven’t read a lot of them yet, but I’ll compare it to the most obvious. There are similarities to Hunger Games, although the society is much different in most ways, the people are fenced in, they live in a world where everything has changed, but it is still the nation we live in today, just evolved in a bad way. They are controlled, and the government does not react well when people break the rules or act out. They keep an eye on the citizens, which makes a person feel watched all the time. And there are people outside the walls that fight the system and believe in a different world. These are pretty general similarities, and if you’ve read Hunger Games and choose to read Delirium, you will see right away that the feel of the book is totally different, the characters totally different, and those general similarities don’t get in the way. The story takes place in Portland, Maine. A city by the sea, walled off by an electric fence from “the wilds.” It is summer, and because there aren’t a lot of cars, Lena bikes, walks, or runs places. It is Lena’s last summer as a child, essentially. Her last summer before the procedure, and it reminds me of when I was a kid and I rode my bike everywhere, was always running around all day, no matter what the weather was like. Lena lives in an apartment/house (the distinction is not clear because it seems more like a house, but it is called an apartment in the book as well) with no air conditioning. She is middle class. She also works at her uncle’s grocery store as well, which gives the feeling of a small town grocery store. This story takes place in the future, after the United States closes its borders to outsiders and walls off it’s major cities and attempts to rid this new world they have created of love, or amor nervosa deliria. According to them, the sickness is the cause of most major illnesses, depression, suicide, and so on. Lena is a good main character. She is someone who had an ideology that she was completely rooted in, that was drilled into her throughout her whole life and from every aspect of her life, and had to eventually see the changes happening within her and decide whether or not to accept them or reject them. Even the death of her mother, with whom the cure just wouldn’t take, she is influenced to desire the procedure. Throughout the book, Lena shows growth, and the supporting characters were also good for building on her story. Each character was well-developed, even the seemingly insignificant ones. She is much stronger than she realizes, like a caterpillar in a cocoon, waiting for her time to unfold her wings. In this same way that she is finding her beauty and strength and what life looks like through love, she is still fragile. As the book gets going, one can really understand her decisions and her character. Even though the book isn’t full of action (although it does have a fair share), it is well-written and worth the read. When a book is well-written, it is one of my favorite things to take my time and enjoy the language and rhythm of the words I am reading. The writing was fantastic. 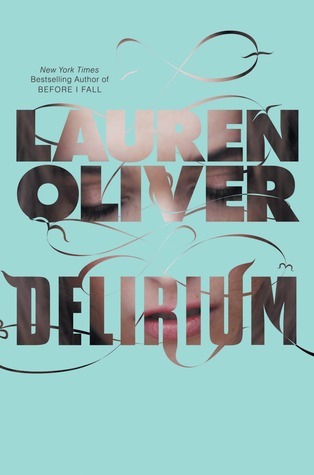 Lauren Oliver is talented and it is obvious that she knows what she is doing and took her time with this series. The world she created is interesting, and unique to a point. Although it is another book set in the future in a dystopian society, it isn’t the same as any other, and the society she created intrigues the reader. One thing that I didn’t like, really there is only one thing that stood out to me….was the ending. Now the ending is shocking, there is a great reveal towards the end, and then a action packed stunning ending. But for me, it happened to quickly, too easily. Maybe I read it too quickly, but I just felt dissatisfied with it. The book moved slowly, until then. Not that I read it slowly, I read it very quickly. But there it is. ps-and just for fun, here is a link to the “official” fan song created for this book. Although I could make a better recording than this, it’s fun to see fans doing stuff like this.